Please join us in honoring your student athlete and to say thank you to all the families for their dedication through the season. Please submit payment by Friday, November 9, 2018 Close of Business for your student athlete and each family member in attendance. Please text: Coach Russ for JV at 480-252-4720 and Coach Konrad for Varsity at 602-717-6303 if you have any questions or concerns. Payments through the KMS PTO are tax deductible. Your canceled check or PayPal confirmation is your receipt (Tax ID available upon request to pto4kms@gmail.com). This is NOT part of the Arizona Tax Credit donation. Welcome Back Students, Teachers & Parents! 5th Annual Direct Donation Drive - No Selling!! Support KMS PTO and all we do for students and teachers! Donate with cash or check using the form found on Facebook. Check with your employer about company matching funds! Past contributors include Motorola, Intel, Verizon, Silicon Valley Bank, and more. A small bit of your time means BIG rewards with EZ Money!! 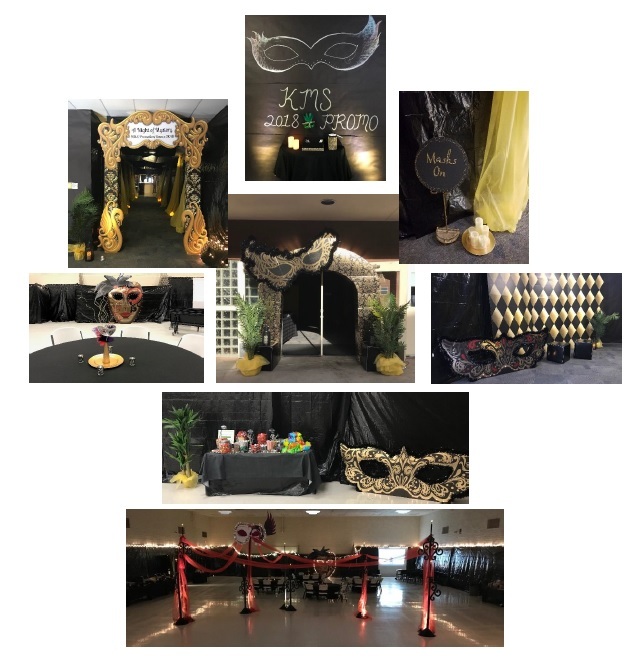 A huge THANK YOU to the dance committee for all your hard work to create a special night for our outgoing 8th graders!! 1. Contact a PTO representative at pto4kms@gmail.com or text 480-310-5791 and we will pick up your donations from you. 2. Donate funds of any amount using the Paypal link below, and we will distribute all funds to support staff as needed. Our first ever Goodwill Donation Drive is happening on April 21st! A Goodwill truck and volunteers will be at KMS accepting donations of new or gently used goods. Collection bins will also be on campus for small items, including clothing, beginning April 9th. Clean out your garage, your closet, and that space under your bed! Fry's Community Rewards - Raises over $2,000/yr for KMS students. 1. Get your Fry's online ID. You can get that at www.frysfoods.com, or you might already have it on your app if you've done anything with the ClickList. 2. Next, go to Fry's Community Rewards where you'll login and find a yellow "Enroll" button about 1/2 way down the page. 4. Click "yes" when you find it and then click "enroll". Please encourage your friends to sign up too! Enter the Amazon site through www.smile.amazon.com and designate "Kyrene Middle School Parent Teacher Organization" as your charity. Your account settings and shopping remains the same, and KMS can make some cool, hard cash! Shop online at www.tuftandneedle.com/givesback and select Kyrene Middle School PTO, then pick your mattress. When you buy, KMS receives 25% of your purchase! Create an account at www.escrip.com and designate Kyrene Middle School as an organization to support (Group ID 154274291). 1. Earn at local restaurants by registering your credit or debit card with your eScrip account, including Bahama Bucks, Biscuits, Serranos, Cafe Boa, Streets of NY Pizza, Buca di Beppo, and more! 2. 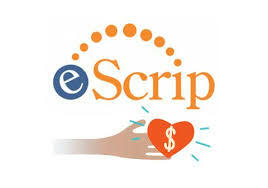 Shop online through the escrip.com website at online retailers such as Target, Walmart, Best Buy, iTunes, Fandango, Macy's, Kohls, Groupon, Living Social, Expedia, Orbitz and hundreds more! Check it out and start shopping for the things you buy anyway! 3. Download the eScrip Benefit app to buy and redeem gift cards instantly from your mobile device, and earn up to 20% for KMS at select retailers, including Safeway, Amazon.com, Target, Petco, Southwest Airlines, and more! If you love apps and shopping from your mobile device, this is for you! Click here for more information, and make a huge difference for our students and staff! Win A Family Adventure Package for 4 to Anaheim OR San Diego! For each $10 ticket, $5 goes directly to KMS to support student needs!! The other $5 supports the nonprofit Kyrene Foundation’s Mission to serve and provide resources for children and their families in the Kyrene community. Tickets are eligible for additional prizes. Tickets will only be sold until Feb 26th, so be sure to buy your ticket(s) soon! Science Night is Almost Here! There will be guests from the AZ Science Center with engineering activities, telescopes, “ooey gooey science”, STEM activities, and microscopes! New this year, we will also have a Star Lab/Planetarium and dual language students will present their science projects. We need parent volunteers to help support the awesome stations.